You want to be able to hear PAST her all the way back to him and hear exactly what he’s doing. Most copies don’t let you do that. The other problem is smeary guitar transients. The multi-tracked acoustic guitars tend to be rich and sweet on practically every copy you can find; this is not the problem. When they lack transient information, the right amount of “pluck”, they also tend to lack harmonic information, the overtones of the notes. Put those two together and you get a blobby mass of smeared guitars overlaid onto one another — not an irritating sound, but not an especially pleasing one either. What we’re always trying to find in these shootouts are copies with the right BALANCE. When everything fits together nicely, when the mix sounds right and all the parts are working their magic separately and together, you know you are on the road to Hot Stamperville. You may not be hearing the best copy ever pressed, but you are undoubtedly hearing a copy that has The Kind of Sound You Want. The sound is rich and full in the best tradition of English Rock, with no trace of the transistory grain that domestic rock pressings so often suffer from. The bass is deep, punchy, full up in the mix and correct. There’s plenty of it too, so those of you with less than well controlled bass will have a tough time with this one. But never fear; it’s a great record to tweak with and perfect for evaluating equipment. Things have changed as we never tire of saying here at Better Records, but in a way you could say they have stayed the same. This used to be a demo disc, and now it’s REALLY a Demo Disc. You will have a very hard time finding a record with a punchier, richer, fuller, better-defined, dare I say “fatter” bottom end than the one found on both these sides. 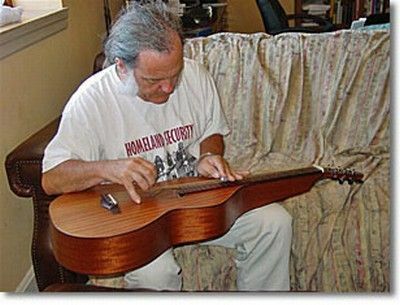 Notice how there is nothing — not one instrument or voice — that has a trace of hi-if-ishness. No grain, no sizzle, no zippy top, no bloated bottom, nothing that reminds you of the phony sound you hear on audiophile records at every turn. Silky-sweet and tubey-magical, THIS IS THE SOUND WE LOVE. We really enjoy this album here at Better Records. It’s a wonderful preview of things to come for these two. Check out the early version of Crystal. On the best copies, it is warm, rich, and sweet — just like it is on the best copies of the Fleetwood Mac self-titled LP. 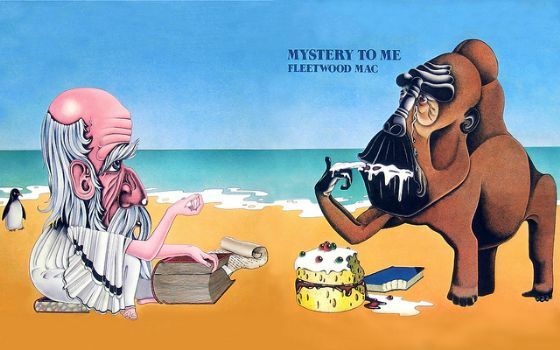 In fact, many parts of this album bring to mind the best of ’70s Fleetwood Mac. Fans of the self-titled LP and Rumours are going to find A LOT to like here. Posted in *Our Record Overview - The Good, Advice - What to Listen For - Richness and Smoothness, Genre - Rock - Big Rock Sound, Labels We Love - Polydor, Top Artists - Fleetwood Mac, Top Engineers - Richard Dashut and tagged audiophile vinyl, Better Records, hot stamper vinyl, Hot Stampers, hot stampers vinyl, tom port on September 21, 2018 by humorem. The music on this album was recorded when they were still a blues band — tracks left off their early albums for one reason or another. Posted in *Our Record Overview - The Good, Genre - Blues, Electric Blues and R&B, Genre - Rock - British Blues Rock, Labels We Love - Columbia/Epic, Records that Sound Best on the Original, Records that Sound Best on the Right Import Pressing, Top Artists - Fleetwood Mac and tagged audiophile vinyl, Better Records, Hot Stampers, tom port on September 13, 2018 by humorem. Posted in *Our Record Overview - The Good, A List of Personal Favorites, Advice - What to Listen For - Tubey Magic, Five Star Albums at Better Records, Genre - Rock - British Blues Rock, Labels We Love - Columbia/Epic, Records that Sound Best on the Original, Records that Sound Best on the Right Import Pressing, Top Artists - Fleetwood Mac and tagged audiophile vinyl, Better Records, Hot Stampers, tom port on July 14, 2018 by humorem. Bob Weston, I learned recently, did the arrangement. He plays the lap guitar you see pictured below. His guitar work throughout the album, along with the wonderfully complex arrangements he provided for both Why and other songs on the album, make this music a powerful and engaging listening experience forty years on. The fold-open cover looks like this. You figure out what they were going for because I sure can’t. The band recorded another album, the inspiring “Mystery To Me”. It contained such Mac classics as “Hypnotized”, “Emerald Eyes”, and the song “Why” which was a Bob Weston arrangement (a fact sadly left off the album’s liner notes). It is also interesting to note that Bob Welch’s song, “Good Things (Come To Those Who Wait)” was dropped at the last minute (but not before thousands of record sleeves and lyric inserts had been printed) in favor of a song suggested by Weston, the Yardbird’s “For Your Love”, which was also released as a single. 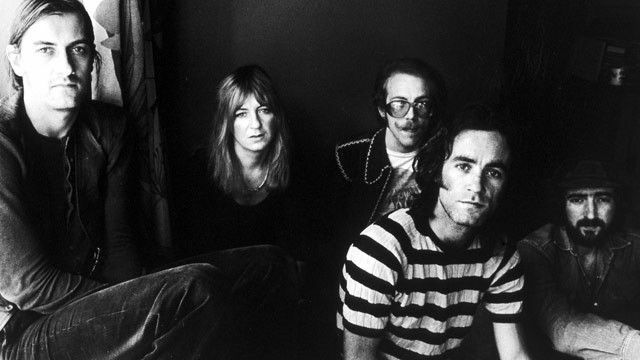 Eager to support the promise of “Mystery To Me”, the band scheduled a tour of the States. The tour had already begun, when Mick Fleetwood noticed something was awry. Bob Weston, always the ladies’ man, was spending a whole lot of time with Mick’s wife, Jenny. Not surprisingly, it became increasingly difficult, as the tour progressed, for the two musicians to appear on stage together. And Jenny did nothing to dispel his worst suspicions. Mick toughed it out as long as he could, but by the end of October it was clear someone had to go. Road Manager John Courage did the deed: Bob Weston was fired on October 26, 1973. And so ended one of the most magical lineups the band ever produced. Posted in *Our Record Overview - The Good, A List of Personal Favorites, Genre - Rock - Big Production Rock, Genre - Rock - More Rock than Pop, Labels We Love - Warners, Masterpieces of Rock and Jazz, Top Artists - Fleetwood Mac and tagged audiophile vinyl, Better Records, hot stamper vinyl, Hot Stampers, hot stampers vinyl, tom port on July 10, 2018 by humorem. When you hear a good copy of Rumours, it’s very easy to understand why this is one of the best-selling pop music albums of all time. Just about everyone knows how great these songs are, but I bet you didn’t know they could sound like this! It’s tough finding Hot Stamper copies of this album. With over 75 sets of stamper numbers for each side, it’s an extremely taxing project, even for us! We know some of the better stampers and have been acquiring them since then in preparation for this shootout. Posted in *Our Record Overview - The Good, A List of Albums We're Obsessed With, Advice - Louder Is Better, Advice - What to Listen For - Track by Track, Labels We Love - Warners, Top Artists - Fleetwood Mac, Top Engineers - Ken Caillat, Top Engineers - Richard Dashut and tagged audiophile vinyl, Better Records, Hot Stampers, tom port on June 18, 2018 by humorem. Hall of Shame pressing and another Half Speed debunked. Posted in *Our Record Overview - The Really Not Good At All, Digital - Compact Discs & Digital Recordings, Half-Speed Masters, Heavy Vinyl Disasters, Labels With Shortcomings - Nautilus, Top Artists - Fleetwood Mac and tagged audiophile vinyl, Better Records, Hot Stampers, tom port on June 18, 2018 by humorem. 5 stars: “Because of its ambitions, Tusk failed to replicate the success of its two predecessors … yet it earned a dedicated cult audience of fans of twisted, melodic pop.” Twisted melodic pop? Sign me up! This copy is absolutely KILLER, with the kind of transparency, space and openness you simply cannot find on most copies. When the soundstage is as wide and three-dimensional as it is here, it’s amazing how much more SENSE the music starts to make. Posted in *Our Record Overview - The Good, Digital - Compact Discs & Digital Recordings, Five Star Albums, Genre - Rock - Big Production Rock, Genre - Rock - Big Rock Sound, Genre - Rock - More Pop than Rock, Labels We Love - Warners, Top Artists - Fleetwood Mac, Top Engineers - Ken Caillat, Top Engineers - Richard Dashut and tagged audiophile vinyl, Better Records, Hot Stampers, tom port on June 12, 2018 by humorem. 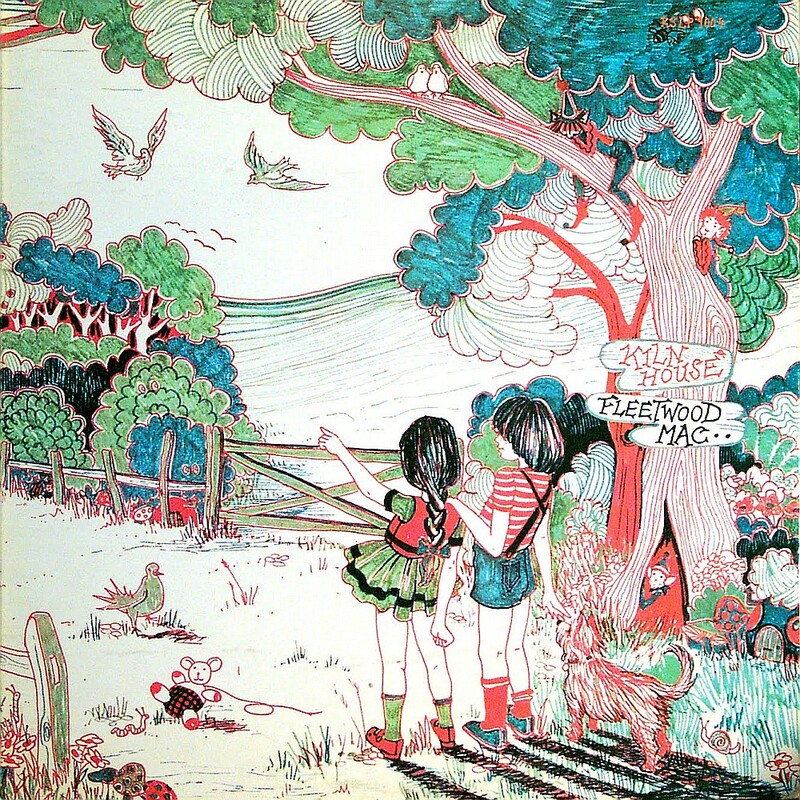 Kiln House is one of the all-time great Fleetwood Mac albums. It’s the first album they recorded after Peter Green left. With Green gone Jeremy Spencer’s influence came to the fore. Apparently he was quite a fan of Buddy Holly. His songs are excellent: straightforward and unerringly melodic. The co-leader for Kiln House is Danny Kirwan, and he rocks the hell out of this album. Three of the best songs Fleetwood Mac ever did, regardless of incarnation, are here: Tell Me All The Things You Do, Station Man and Jewel Eyed Judy, all written by Kirwan (with the help of others). His guitar work on these three songs is blistering. Any Fleetwood Mac greatest hits collection would be a joke without these tracks. Of course they are consistently missing from all such compilations, at least the ones with which I am familiar. The sad fact is that few people miss them because few people have ever heard them. Posted in *Our Record Overview - The Good, A List of Personal Favorites, Genre - Rock - Big Rock Sound, Genre - Rock - More Pop than Rock, Labels We Love - Reprise, Top Artists - Fleetwood Mac, Top Engineers - Martin Birch and tagged audiophile vinyl, Better Records, hot stamper vinyl, Hot Stampers, hot stampers vinyl, tom port on April 27, 2018 by humorem. 160 gram Simply Vinyl pressing of this EXCELLENT LP. This is the early, BLUESY Mac, about as far from Rumours as you can get. The sound here is excellent — dark and smooth like a good British Blues album should be. Simply Vinyl did a superb job here. Correction: an unnamed mastering engineer at the label that owns the tape did a superb job. Simply Vinyl isn’t in the business of mastering or remastering ANYTHING. They leave that up to the pros at the record labels. Sometimes those guys screw it up and sometimes they get it right. Posted in *Our Record Overview - The Good, A List of Great Debut Albums, Genre - Blues, Electric Blues and R&B, Heavy Vinyl Winners, Labels With Shortcomings - Classic Records - Jazz, Labels With Shortcomings - Simply Vinyl, Top Artists - Fleetwood Mac and tagged audiophile vinyl, Better Records, hot stamper vinyl, Hot Stampers, hot stampers vinyl, tom port on April 20, 2018 by humorem. This is an album we almost never find and very rarely have on the site — don’t miss this one! Posted in *Our Record Overview - The Good, Advice - What to Listen For in General, Demo Discs for Bass, Genre - Rock - Big Production Rock, Genre - Rock - Big Rock Sound, Labels We Love - Polydor, Top Artists - Fleetwood Mac, Top Engineers - Richard Dashut and tagged audiophile vinyl, Better Records, hot stamper vinyl, Hot Stampers, hot stampers vinyl, tom port on March 14, 2018 by humorem.